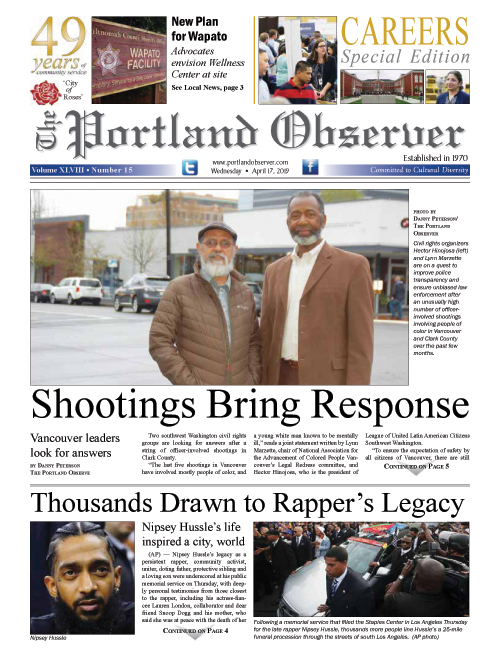 Harvey Garnett, 82, Portland’s first black theater owner, was the first person to take out an advertisement when the Portland Observer began publishing in 1970. He was the proprietor of then Alameda Cinema, now known as the Alberta Rose Theatre at 3000 N.E. Alberta St.
Garnett, who is originally from Waco, Texas and moved to Portland in 1945, ran Portland’s only African American owned theater at the time. In 1965, and co-owned by childhood friend Ron Leverett, the theater screened second-run films, and later, blaxploitation films like "Shaft" and "Superfly." In 1971, Garnett took full ownership of Alameda and screened the now-classic "In the Heat of the Night," starring Sidney Poitier, as its first iteration of a theater for new releases. Garnett, who’s also known as “Mr. Alameda,” was raised in a house near present-day Legacy Emanuel Hospital on North Gantenbein Avenue and told the Portland Observer he was also the first African American to work for Pepsi, in 1965. He also took ownership of one of the few black-owned record stores in town, Bop City, formerly located on North Williams Avenue, in 1968.